Dr. John Swaddle hails from England and played his rugby at Bristol University, a hotbed of collegiate and professional rugby in the United Kingdom. John is a member of the Faculty at the College of William and Mary and his research extents over a wide range of subjects related to biology. 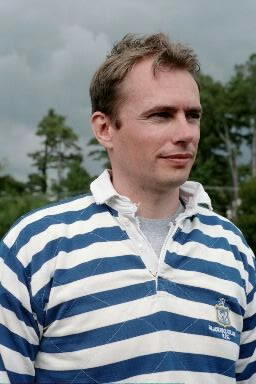 John has a wealth of rugby knowledge, particulary in regard to the forwards and as a young man in his thirties he can still outplay most of the lads while he demonstrates. John is a big asset to the Club.